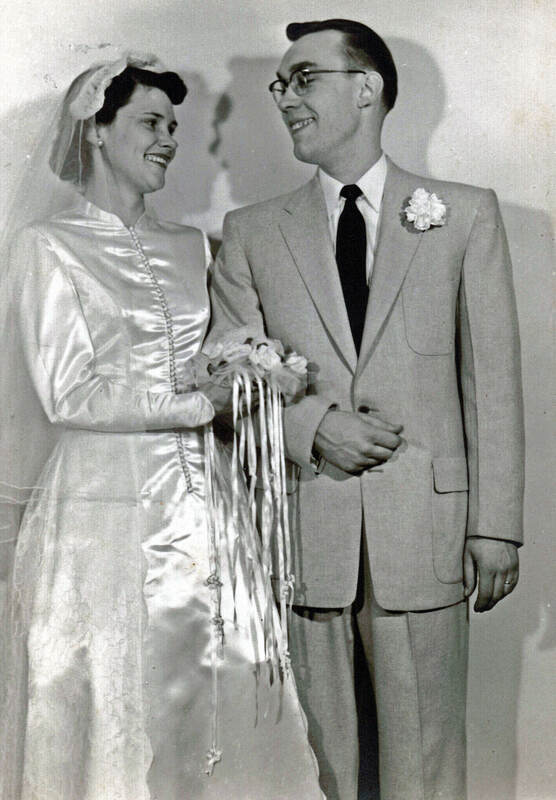 My parents married 61 years ago today. With Dad being from Iowa and Mom from Indiana, their wedding took place, naturally, in Fairbanks, Alaska. In May 1952, during the height of the Korean War, the U.S. Army graciously extended a binding invitation to my dad to join its travel club for the next two years. He accepted. 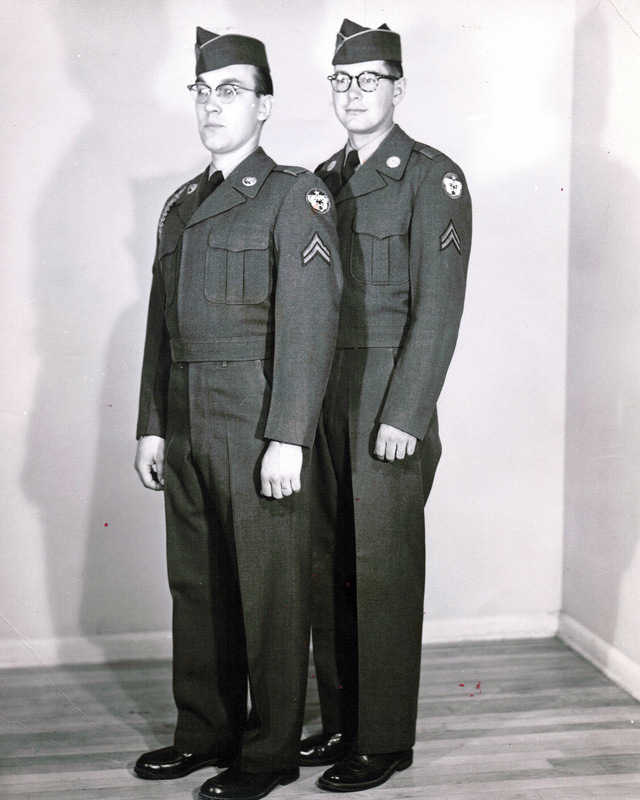 After basic and artillery training in Arkansas and radio mechanic school in Oklahoma, the Army decided his next stop should be Fairbanks to help defend (successfully) the soon-to-be 49th state against a Communist invasion. 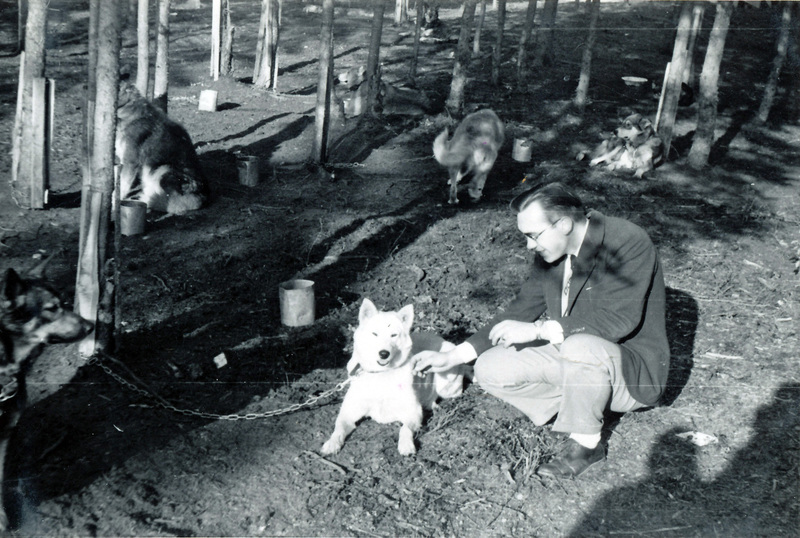 He repaired radios during the day and taught evening English classes on the side at the University of Alaska. Shortly after arriving in Fairbanks in June 1953, he met another freshly minted private named Bernard Harris, from Medaryville, Indiana. “Bernie” also had accepted a gracious and binding invitation from the Army’s travel club. Being Midwesterners with plans to become teachers after their club memberships expired, they became instant friends. Charlotte Mae Harris was making plans to join her husband Bernie in Fairbanks. They would live near the military base, and Char would find a job – she worked for a loan company in Indiana and assumed they had similar businesses in Alaska, what with all the igloo construction financing and such. The plan had a small hitch: Char was uneasy about traveling 3,600 miles alone to an unfamiliar land where she’d know only one other person. And she didn’t speak a lick of Eskimo. One of her older sisters, Carol Maude Lowry, provided the solution. “Maudie” (aka “Mom”) was single and worked as a nurse in a doctor’s office in Valparaiso, Indiana. Although she also lacked in Eskimo linguistics, Mom offered to move to Alaska with her sister and find a job in Fairbanks. She assumed they needed nurses in Alaska, what with all the igloo construction injuries and such. 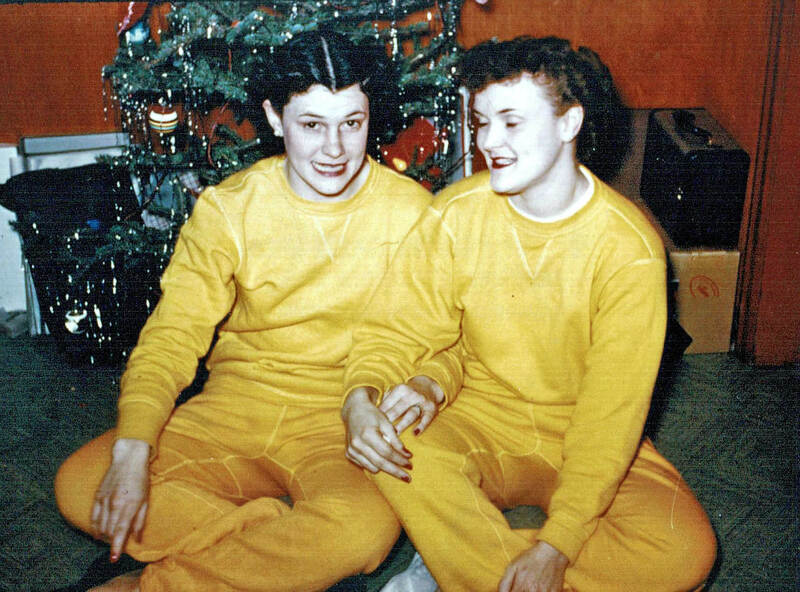 On Sunday, Aug. 2, 1953, Mae and Maudie boarded a plane in Chicago and headed north to Alaska. The Last Frontier has yet to recover. “Sisters leave for Alaska” was the headline for an above-the-fold front-page story (with photo) in that week’s edition of The Medaryville Herald. Every day is a slow news day in Medaryville. After arriving in Fairbanks, the sisters were soon surprised and somewhat disappointed to find a complete absence of igloos. But they were relieved to learn Alaskans were very friendly and spoke fluent English … not their Indiana hillbilly brand, but close enough. Char found a job with the Alaska Railroad Corporation, and Mom worked at St. Joseph’s Hospital. The guys in the communications platoon were making plans to attend Dog Days, a late-summer event that gave area dogsledders the opportunity to show off their teams to the locals before the mushing season began. Bernie suggested to my dad that he stop by their place afterward and meet his “old maid” sister-in-law (Mom was an ancient 25 years old at the time). So he stopped by. Dad’s standing joke is that he went to Dog Days that afternoon and came away with the best in show. Mom chooses to take that as a compliment. Dad makes his first, but not his last, new friend on Dog Days. That was in September 1953. They got engaged three months later and married three months after that. 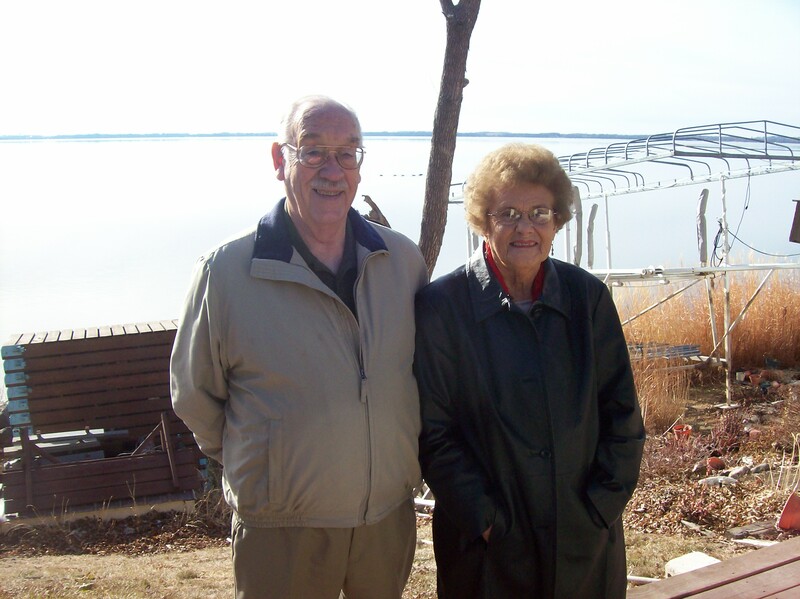 And today, they’re celebrating their 61st wedding anniversary. That’s how it makes perfect sense. With everything happening so fast, friends and family members from the lower 48 couldn’t make it to the wedding, so nurses filled one side of the church and soldiers filled the other. I’m guessing it was one helluva wedding reception.